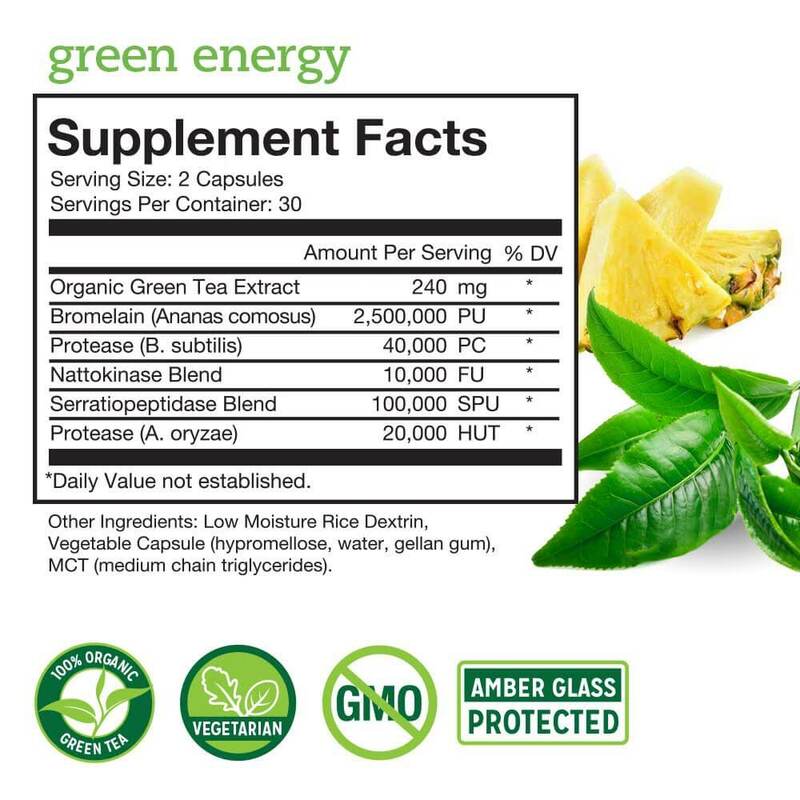 SUPERCHARGE YOUR HEALTH: Supports detox, energy, vitality and well-being with a powerful combination of premium organic, vegetarian supplements. 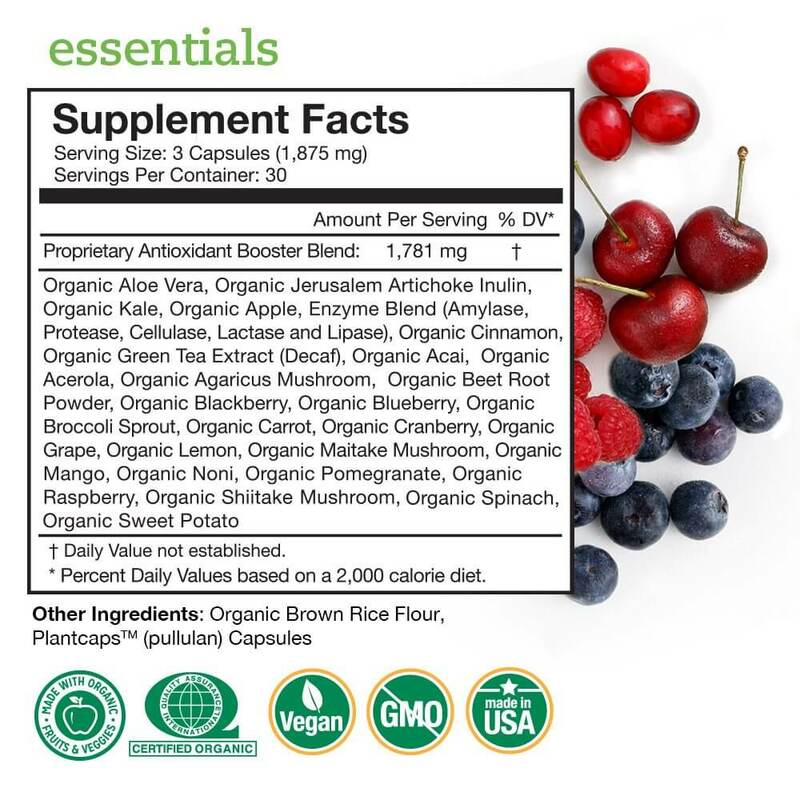 Essentials (90-ct) delivers antioxidants and anti-aging organic fruit & veggies. 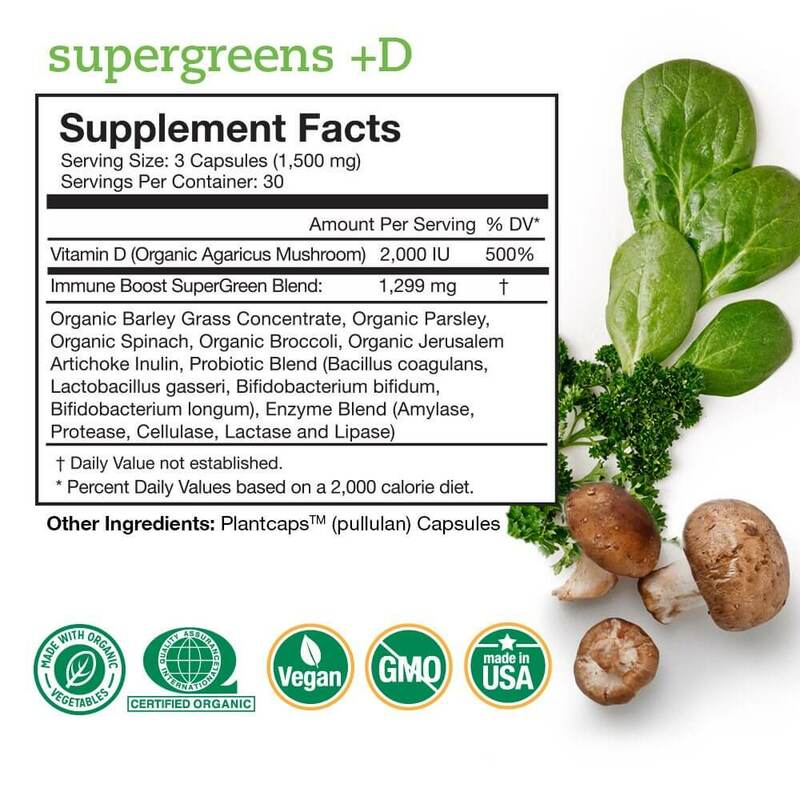 Supergreens +D (90-ct) gives an immunity and digestive boost with organic greens and vegan vitamin D.
Pure Body (20 mL) is a natural way to keep your body free of toxins.